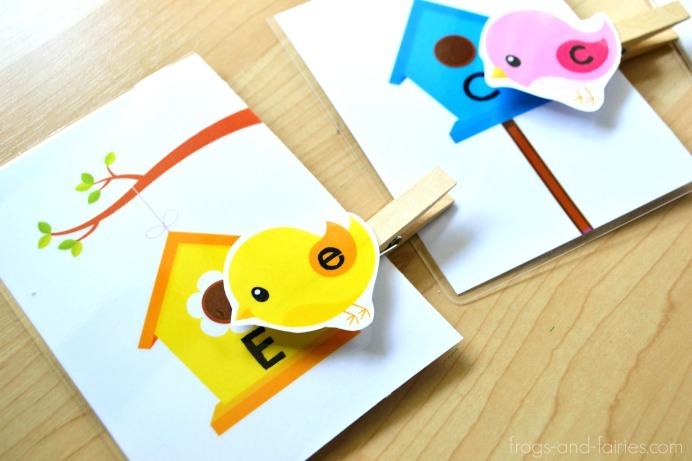 Looking for a fun and hands-on way to teach upper and lower case letters? Then this is a fun activity to help your little ones learn! 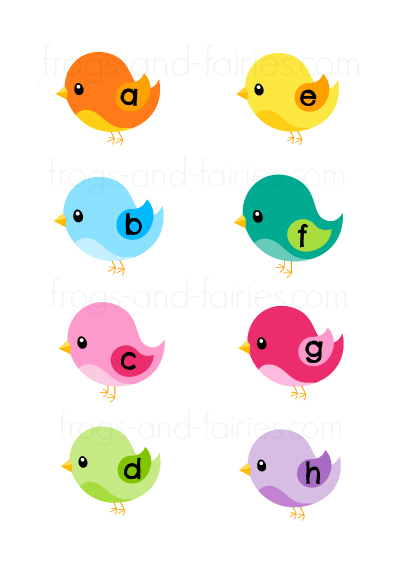 This printable set includes 26 birds and 26 birdhouses with upper and lower alphabet letters from A-Z. 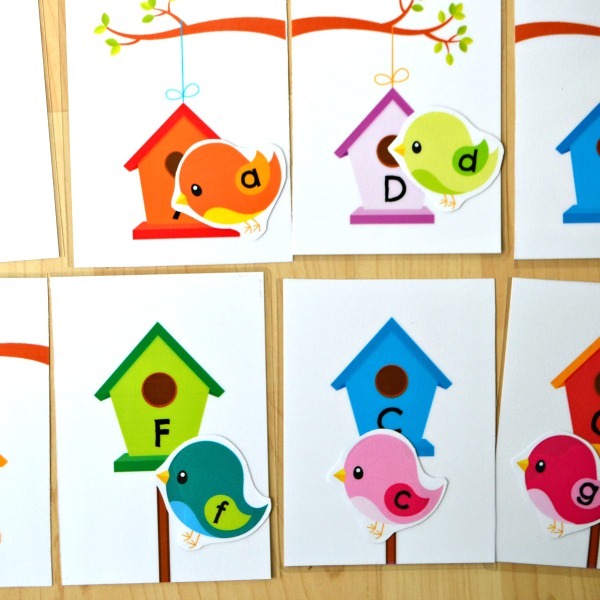 To PREP: Print out the birds and cards with birdhouses. Print on cardstock or laminate for extra durability. Cut out. 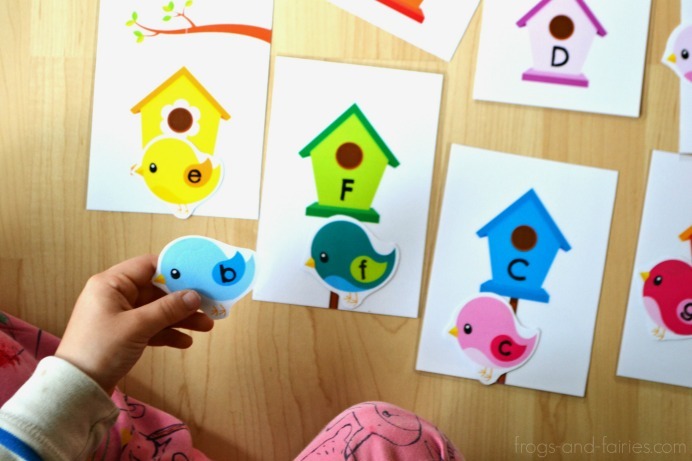 You can also glue the birds onto clothes pins or clips for more fine motor skill practice while matching. 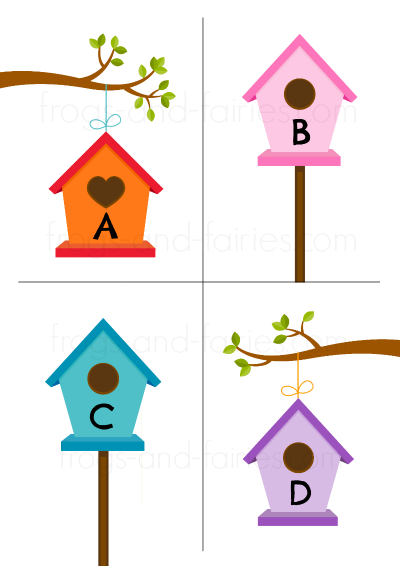 To PLAY: Let your little ones match the lower case letter birds with upper case letter birdhouses. Have fun! Adorable and so cute! The design of these printables is impeccable, colorful and inviting. I loved them from the first moment I spotted them at Sandra’s shop. We cannot wait to start using them for a letter-matching game! That’s just wonderful to hear, Damjana! Thank you so much!